The last few weeks have been full of inside-out pajamas, spoons under the pillows and ice cubes in the toilet. All these superstitions are supposed to bring feet of snow and no school until spring. Of course, if you don’t have elementary school aged children, you might be dreaming of a tropical winter getaway or worrying if you remembered to buy rock salt to put on the sidewalk for yet another “wintry mess” as meteorologists like to call it. At my house, we are knee- deep in snow-crazed children, so these two most recent snow events have come not with cups of cocoa and long sessions of reading by a fire. Instead the snowstorms have forced me out of my warm home to accompany my kids as they face the Rupert Elementary Hill. It’s a good place to sled and most of the East End of town shows up there at one time or another when there’s fresh snow (and old snow, truth be told). After a nice conversation with the Parks and Recreation Department, I also learned that there are great sledding hills at Brookside Country Club and Lincoln Elementary, just in case the snow has already melted on the street sledding areas. 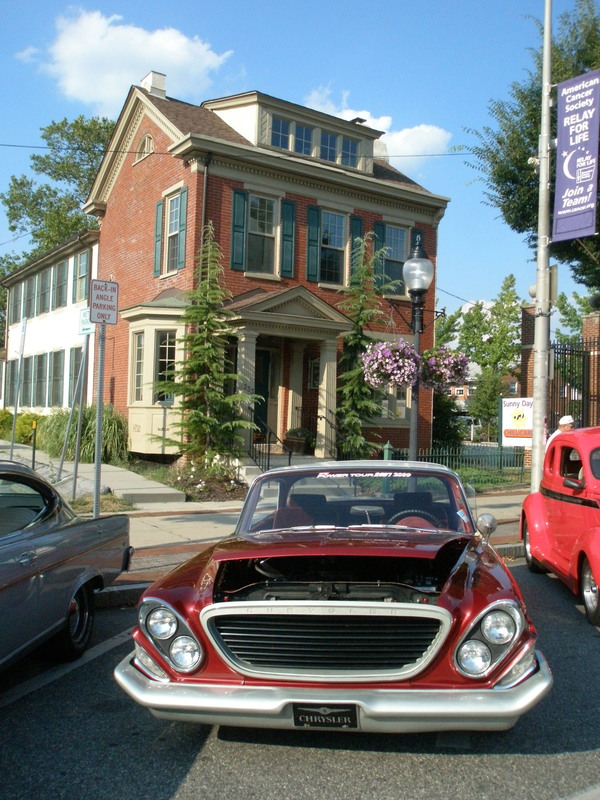 I was really surprised to hear that at one point in Pottstown’s history you could sled all the way down Mervine Street, which would be closed off for just this purpose. That sounded like fun, even to me and I am not a big fan of winter or snow or even being cold. Back at Rupert, the wind was blowing, but that didn’t stop kid after kid from showing up at the hill, some with air filled and gravity defying tubes, others with saucers, still others with the newest thing in sleds that are just a little slip of plastic and require the rider to throw themselves down the hill headfirst and reward them with a super fast ride. 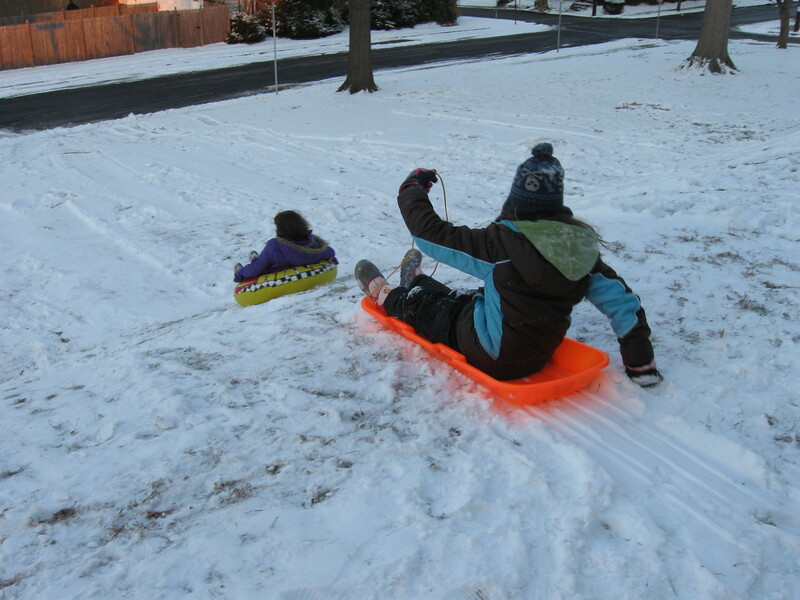 My own kids have a mixture of sleds: a saucer, an old-fashioned two-person model and the newest addition, a snowboard. We stuck it out for an hour and a half, down the hill and back up, braving the frigid wind. The kids raced each other and I spent a lot of time yelling for them to bail out of the sleds before they hit the street. Finally, we all walked back home. More accurately, I dragged two of my kids home in a sled, listening to them plotting the next snowstorm and reminding each other to turn their pajamas inside-out. 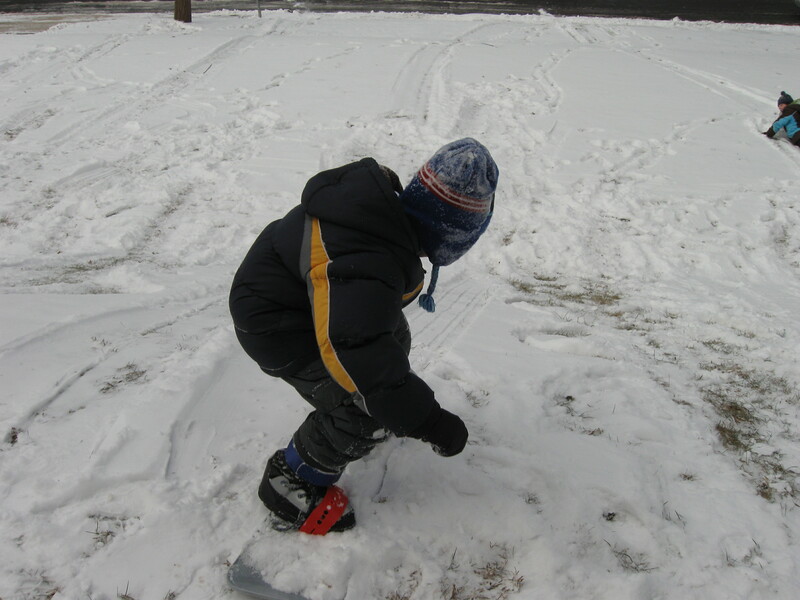 Got a favorite place to sled in Pottstown? How about a memory of winters past and your favorite sledding spots? We’d love to hear about it. Rosemary, you have done what no man, woman or child could accomplished in the past 15 years…. you have inspired me, at a ripe old age, to bundle up in my warmest, find a sled, borrow a kid and head for the hills WHEEEEEEEEE!! P.S. I think I’ll turn my pajamas inside out tonight, fresh snow is so much more appealing. Thanks, Katy. So glad it inspired you. I sure do!1 that woul dsledding down Master stree form the top of Hanover all the way down to , I think it was Pine.For obvious safety reason swe could not take it all the way to Charlotte. What an amazing long ride, of course you have to walk back up it.And,,where we lived on Franklin street we would have ice covered sidewalks and just use our trash can lids and go fying down the hill from mineral to master and of course there were grass alles areas bteween houses( franklin and Evans) that had gulley sof water that would freeze over and then wala!! we had oursleves a pond to go ice skating on. I remember all that too, so I know my memory has not completely departed yet! It was such a long ride down Master and then, yes, the steep walk back up. And the ice-covered sidewalk on Master Street — I remember bringing buckets of water from the house and splashing it there to make a good long icy run. Good times! Sledding the Mervine Street Hill -the best! Being a native “North Ender,” that brings back some great memories for me. Mervine Street is pretty much as close to perfect of a sledding hill as they get. Thanks for the great post, how coincidental I am just reading this now! As I walked my dog Friday night and Sunday she wagged her tail furiously at the kids racing down Rupert Elementary’s hill on South Street. A couple of the kids got up and came over and joined her fan club (she has a big contingent of visitors from Rupert who walk past her kingdom’s hill in my backyard) and she happily trotted home with stories to tell my Mother and dreams of snow and kids. Saturday night two of my oldest friends and I got together and somehow (after cocktails, ahem!) ended up on one of their kids’ sleds going down a hill, across a driveway and onto a neighbor’s front lawn. I’m sure we gave the neighbors a great laugh! FUN!